I feel so free. My last deadline of 2016 is over and I'm free to enjoy December, without the weight of a hefty workload bringing me down! But 2017 is looming, with more deadlines and exams. And I refuse to let myself get back into the all-nighter habit again. New year new me & all that jazz. Sophie (from Snippet of Sophie) has got your back with her Student Planner printable. The planner covers every aspect of student life imaginable, even down to tracking how much water you drink (hands up who forgets to stay hydrated in stressful times). 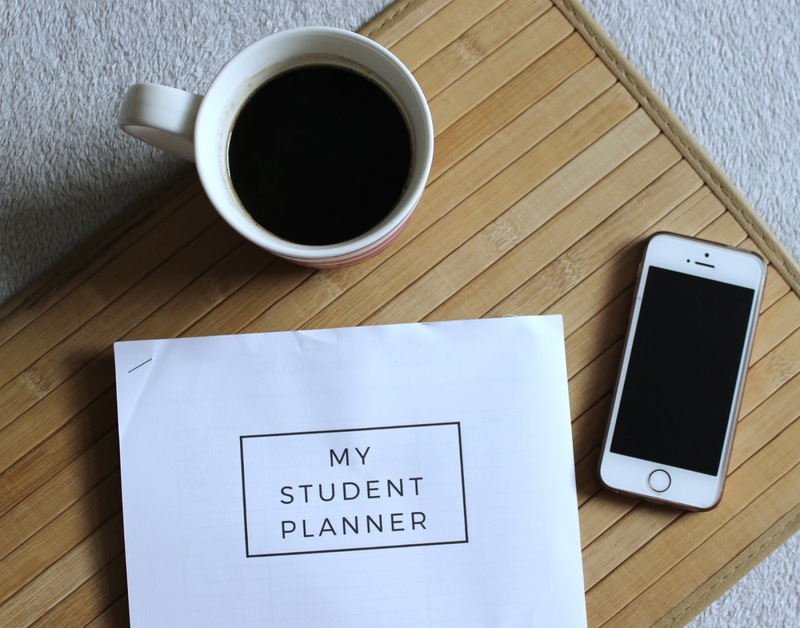 It includes sheets to plan your day, week and month, which is ideal as you can map your studying in advance depending on deadlines/exam dates and such. The section I find the most useful is the page dedicated to your reading list. Seriously, after a lecture just jot down the books you need to read and you have a quick reference and a clear idea of how long it will take you. This is so, so useful, and its something I haven't seen in any other planners (even quite pricey ones)! It also includes a page to note your contact information, something I'm definitely going to use for the new modules next year. It literally saves so much stress to have these things written down in an organised place, you won't have to pester the group chat to find out a tutor's email address at 2am! The planner is £6, which is an absolute bargain- you're able to print and re-use the pages as many times as you need across your entire course! Not to mention the beautiful design, which beats the plain old planners you can get at stationery shops. This would look so classy on a marble-style clipboard or up on a decorative cork-board! You can get the planner here, or view more about it on Sophie's blog. I definitely recommend it! *Sophie very kindly gave me the planner to review, all opinions are genuine and my own! I have instructed numerous conventional instructors who have endeavored to influence An Essay Starting the change to web based educating and observed it to be hard to adjust to as customary instructing techniques to don't interpret well. The schools and universities offer stipends or student union credit offers. These awards are useful term paper help for subsidizing the education of your children. Great blog i really like it Send gifts to Pakistan . Many institutes have tie-ups with banks MURANG'A UNIVERSITY thereby providing lower rates. Also, some banks offer lower rates to female students. This web site is often a walk-through like the knowledge. best school in delhiyou wished about it and didn’t know who must. Glimpse here, and you’ll absolutely discover it.